I know this is a bit tedious, but we FINALLY got around to setting up a mailing list. I don’t know about you, but I’m excited. If you are interested in joining, it’s in the sidebar to the left, under mjölk news. You must sign up regardless of whether you have provided us with your email address before (sorry, that’s the tedious part). 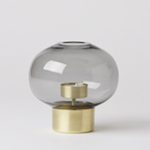 We promise to only send you nuggets of goodness like invites to special events (don’t forget to RSVP to Masanori Oji for Oct 21), new product that we are excited about (the Corona Globe is so new it’s not even on our website yet! ), store hour interruptions (so we don’t have to worry about hearing “we stopped by while you were [insert trip, event, summer holiday hours here]”) and whatever else we think you might really want to know about. ps. FYI: Photos pre-server move (before midsummer) were compressed and are now low res and pixelated. It’s a total bummer.